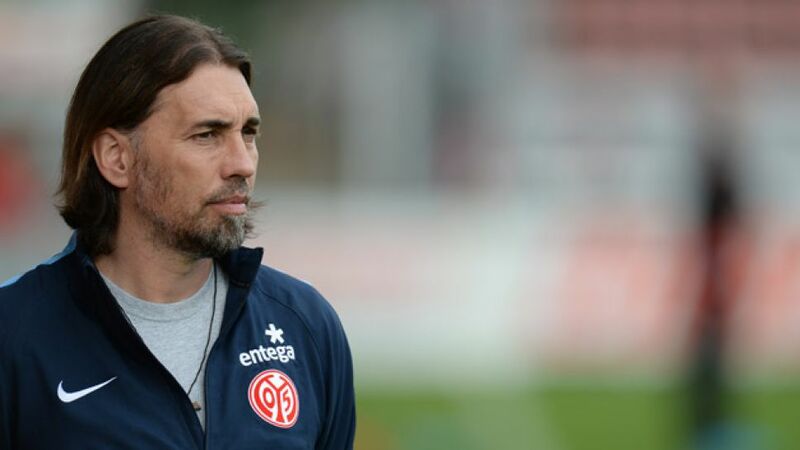 Cologne - He may look more like a rock star than a football coach, but Martin Schmidt is the man 1. FSV Mainz 05 have vested their trust in as the Rhineland-Palatinate club seek to arrest their dangerous slide towards the relegation zone by replacing Kasper Hjulmand. Born in Naters in the Swiss canton of Wallis on 12 April 1967, Schmidt took his first footballing steps with his local club FC Naters, whom he joined in 1976. He would go on to play for the club until 1998, but his playing career was cruelly curtailed by no fewer than seven different cruciate knee ligament injuries. It therefore comes as little surprise that he made his name in football as a talented youth coach as opposed to a player, although he is a man of many talents even outside football. A trained mechanic, he managed a successful garage for ten years and, if that was not enough, he is also still involved in the running of a textile company. It is in the dugout where his biggest talent lies, however. He made his professional coaching debut with FC Raron in 2001 and later coached Swiss Super League side FC Thun between 2008 and 2010. He accepted the post as coach of Mainz's U-23 side and enjoyed notable success in the role, winning promotion to Germany's third tier in 2014 and blooding the likes of 2014 FIFA World Cup winner Erik Durm, Yunus Malli, Stefan Bell and Shawn Parker. Heidel is of the opinion that Schmidt has the "tactical discipline, aggression, passion, fighting spirit and application to develop the team and give it the impulse that it has lacked in the last few months", and stated how important it was that the new man knows the club inside-out. "He's known the club, the team and our way of playing for five years and has contributed to its development." Befitting a man of his vast experience at Mainz and ideal for a team with just one win in 13 matches, Schmidt's first public words were a statement of quiet confidence in his own ability. "Obviously this is a big step for me now to be in charge of a Bundesliga team, but I don't feel like I'm being thrown in at the deep end," he said. "I've been close to the team and the coaches in recent years and I know how things work, so I'm well prepared." Instead of Hansa Rostock away on Saturday, Schmidt is now prepping for the Rhine-Main derby and the visit of local rivals Eintracht Frankfurt on Matchday 22. As the man himself said: "We've got a lot of work to do and we can't waste any training time."